Sodium salicylate (SS) is one of the nonsteroidal anti-inflammatory drugs and widely used in clinical practice. 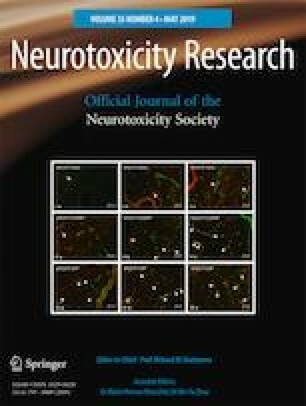 Therefore, we aimed to investigate the potential ototoxicity mechanism of sodium salicylate: the influence of Ca2+/calmodulin-dependent protein kinase II (Ca2+/CaMKII) in interaction between NMDA receptors (NMDAR) and GABAA receptors (GABAAR) in rat cochlear spiral ganglion neurons (SGNs). After treatment with SS, NMDA, and an NMDAR inhibitor (APV), the changes of GABAAR β3 (GABR β3) mRNA, surface and total protein, and GABAAR currents in SGNs were assessed by quantitative PCR, Western blot, and whole-cell patch clamp. Mechanistically, SS and/or NMDA increased the GABR β3 mRNA expression, while decreased GABR β3 surface protein levels and GABAAR-mediated currents. Moreover, application of SS and/or NMDA showed promotion in phosphorylation levels at S383 of GABR β3. Collectively, Ca2+ chelator (BAPTA) or Ca2+/CaMKII inhibitor (KN-93) reversed the effects of SS and/or NMDA on GABAAR. Therefore, we hypothesize that the interaction between NMDAR and GABAAR is involved in the SGNs damage induced by SS. In addition, the underlying molecular mechanism is related to Ca2+/CaMKII-mediated signaling pathway, which suggests that the interaction between calcium signal-regulated receptors mediates SS ototoxicity. Danxue Qin and Peiqiang Liu contributed equally to this work. Danxue Qin performed cell culture, immunofluorescence, and Western Blot detection, which were used in the present study, and completed data analysis; paper writing was under the guidance of Huiying Chen and Jiping Su. Peiqiang Liu performed quantitative PCR and whole-cell patch clamp technique, which were used in the present study. Wenhua Ye, Xiaoyu Lin, and Weifang Yu made effort for cell culture. All the experimental technology were under the guidance of Huiying Chen and Xi Huang. Jiping Su conceived, designed, and directed this project. All authors contributed to and have approved the final manuscript. This work was supported by the National Natural Science Foundation of China (NSFC) (81360157, 81560174), the Life Sciences Research Institute of Guangxi Medical University, and the Experimental Animal Center of Guangxi Medical University. The experimental animals were provided by the Experimental Animal Center of Guangxi Medical University, and the animal experiments were approved and governed by the Animal Ethics Committee of Guangxi Medical University. All procedures performed in studies involving animals were in accordance with the ethical standards of the NSFC guidelines for the care and use of laboratory animals; every effort was made to relieve any pain felt by the experimental animals.